The surface of many globes is too hard to insert a pin or tack. Many globe stands feature a meridian yoke or ring connecting the poles with too little clearance for tacks to pass under when the globe spins. 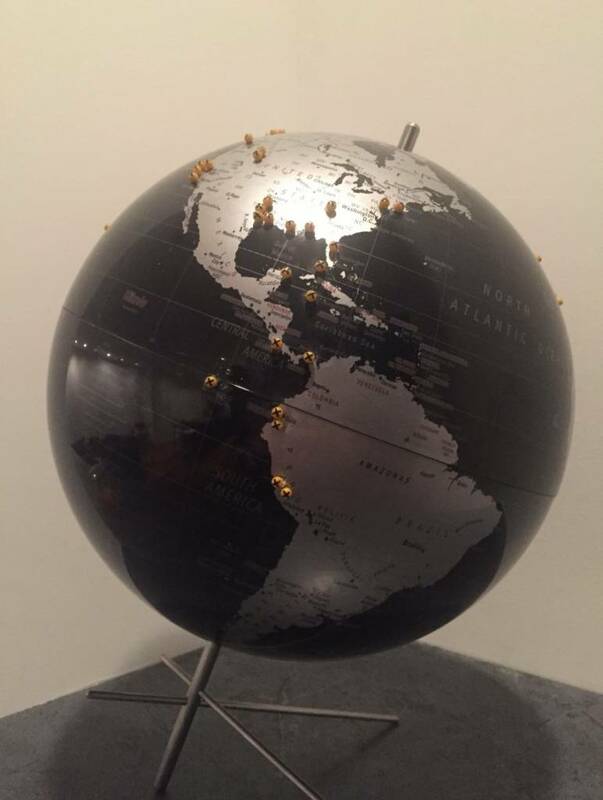 Customer Steve found a fine globe in which to insert maptacks! "Although not finished, this is where we are to date. You provided good guidance on the appropriate size to use for the map tacks."